NDCC Endorses Change from "Board of Aldermen" to "City Council"
In the spirit of equality and fairness for all who might like to serve in local government, members of the Newton Democratic City Committee voted overwhelmingly at their December General Meeting to endorse a proposed update to the Newton Charter that would change the title of Newton's legislative body from Board of Aldermen to City Council. Click here for additional details. Our 2014 Brunch honoree Reverend Howard Haywood asks us to join him in a march and silent protest of the unaccountable, unjust killings of black men and boys - as young as 12 years old - by police officers around the nation. We should all hasten to answer this call for help. Please show support for Reverend Howard, his community and this cause by marching tomorrow, Sunday, December 7, at 4:00 pm. This march will leave from Myrtle Baptist Church (map) and will walk to West Newton Square. Bring your family, friends and signs if you agree that the tragic injustices around the country must stop. Please make a plan to vote - especially if you are volunteering! The full ticket is below along with details for volunteering and election night. Please vote for the full ticket as follows! Want to help and volunteer today or on Election Day? Canvassers and callers are needed! Please come to either 30 Chase Street in Newton Centre or 360 Watertown Street in Nonantum to help. Callers and canvassers are needed all day long. Detailed shifts at www.newtondems.org/events. Canvass wards 5 through 8 from 30 Chase, and wards 1 through 4 from 360 Watertown. After the polls close at 8 pm, please join the NDCC's election night results watch party at the home of Ald. Vicki Danberg, 30 Chase Street in Newton Centre. All are welcome. Thank you for all your and hard work support - good luck to our candidates tomorrow! Click here for the full comparison! Print it out, take it with you as you canvass. Coakley-Kerrigan fundraiser with special guest Treasurer Steve Grossman on October 20 at Rep. Ruth Balser's home - click here for details. See below for summary! Maura Healey for AG fundraiser on October 16 - click here for details. Deb Goldberg for Treasurer fundraiser on October 21 - click here for details. The Coordinated Campaign has put together a full schedule of weekly canvasses and phone banks from HQ in Nonantum and 30 Chase Street in Newton Centre through October. Now is the time to help - the race is close and the field can win the election for the Democratic Party this fall. Click here to see the full schedule - see the upcoming events below and sign up to help! 2014 Brunch, A Fantastic Event: Thank you to speakers, volunteers, attendees! Post by Newton Democratic City Committee. Click here to respond and RSVP if you haven't already. It's not too late to get a ticket in advance. Below please find the schedule for the event on Sunday. We're expecting a large crowd and great speakers who will energize us for campaign 2014, and recognize the legacy of activism in civil rights and social justice of Reverend Howard Haywood. Sunday, October 5, 11:30 am to 2:30 pm, American Legion Post 440 295 California Street in Newton. Please click here for details. Rev. Howard Haywood is Pastor Emeritus of the historic Myrtle Baptist Church of West Newton after serving as pastor for 24 years. Over these years Rev. Haywood has guided the church through continued years of growth in membership and outreach programs. Under his leadership an addition was built on the church and the parsonage was converted into two family units. 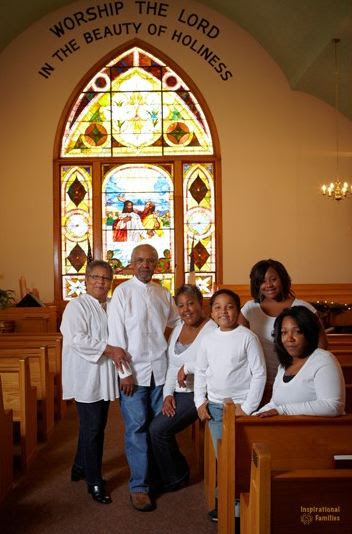 Myrtle has led the Newton community in raising funds to help rebuild a church in Arkansas that was destroyed in the southern church burnings and supplying food, clothing and Christmas gifts to the victims of hurricane Katrina. The church was also the originator of the annual Citywide Rev. Dr. Martin Luther King Celebration. Rev. Haywood has been active throughout the years in many community organizations including the Council on Aging, The Foundation for Racial, Religious and Ethnic Harmony, Newton Community Development Foundation, Board of the YMCA, Newton Clergy Association, Board of the Newton Boys and Girls Club, and the Newton Human Rights Commission in 2005 he was awarded the City’s Human Rights Award. Myrtle has truly been a community church hosting the local Meals on Wheels program, the Newton Head Start program for a number of years, training programs for Evercare Hospice. Rev. Haywood has worked in the construction industry for over 50 years starting out in the trades as a bricklayer and currently holds the position of principle Engineer at S E A Consultants, Inc. of Cambridge. He retired from the MBTA in 2001 after a 24-year career in the Design and Construction Department where he held the position of Assistant general Manager of Design and Construction where he oversaw the Authorities $500,000,000 capital improvement program. Howard has been married for 47 years to Karen (Evans) Haywood, who he grew up with, in their beloved “village.” Karen’s family like Howard’s has a long and distinguished history in Newton in fact her ancestors were founding members of Myrtle Baptist Church. They were blessed with three children Georgianna (deceased) Kristen Smith and Howard Jr. both of Newton. They have three granddaughters Julia Haywood, Zoë Smith, Carmen Velez-Haywood and a great grandson Giovanni Morales. Please RSVP to Amanda Bernardo amanda@joekennedyforcongress.com or 617-306-1773 for any additional information or questions! Newton Dems Weekend of Action: Sat, Coord Canvass, Sun, Org meeting with JKIII and Canvass! Newton is a key city for the Democrats - we need to make sure we reach out to voters about the Coakley-Kerrigan campaign and the additional Dems on the ticket this year. We're grassroots - we know it is key to talk to people one on one. Please join us this weekend! Please join - walk lists, lit, scripts, training will all be provided! We’ve all driven on roads and bridges in this state that could use some serious updating and fixing. In Newton alone there are seven structurally deficient bridges. That’s in addition to half the bridges in Massachusetts that are already structurally deficient (map). It’s hard to believe that there are some people who think this is not a problem. There is a question on this November’s ballot that if passed, would take away the funds needed to improve our streets, bridges and could put the public’s safety at risk and our transportation infrastructure in jeopardy. According to the Federal Highway Administration, more than half of all bridges in the state are structurally deficient or functionally obsolete – ranking us second-worst among the 50 states. There are 27 bridges that have been closed because they are unsafe and another 447 that can only carry reduced traffic loads. One out of five major roadways in the state is classified as being in poor condition. Sign up here and to help the Committee for Safe Roads and Bridges defeat Question 1. To learn more about why these funds are so important to keeping roads safe and in good condition go here. Coordinated Campaign: Opportunities to Help! Please mark your calendars for two important upcoming events! And then canvass at noon! If you can donate, please consider attending a reception in Boston on Friday featuring the Senator and candidate for Governor Martha Coakley! Please join the Newton Dems with Mass Dems Party Chair Tom McGee, State Representative Ruth Balser and other elected leaders as we kick off the first official canvass for the coordinated campaign! Congratulations to Martha Coakley, Steve Kerrigan, Maura Healey, Deb Goldberg, Marian Ryan and Marilyn Pettiito Devaney for winning their respective primary elections yesterday!